With the development in the world of technology taking place in every aspect, watches are something that has managed to go through a great evolution. Even a few years back a smartwatch was something that was just a thing of imagination. But with the passage of time, smartwatches have become very much popular among the consumers. And there is no reason why the smartwatches are not going to become even more popular. With every passing day, new technologies are coming in the smartwatches, and at a distant future, it is believed that these kinds of watches are going to rule the roost particularly because of the fact that innovations are definitely going to come in. Talking about innovations in electronic devices, the brand that comes to our mind at one go, is Apple. And it is going to be an understatement if it is said that Apple is going to bring in a number of upgrades in its upcoming Apple Watch 3. Regarding the release date of the Apple Watch 3, there have been a number of reports coming from an array of reliable sources and most of those reports suggest that the Apple Watch 3 is going to be released in the month of September this year. Well, it has been the trend of Apple to unveil their smartwatch in the month of September. 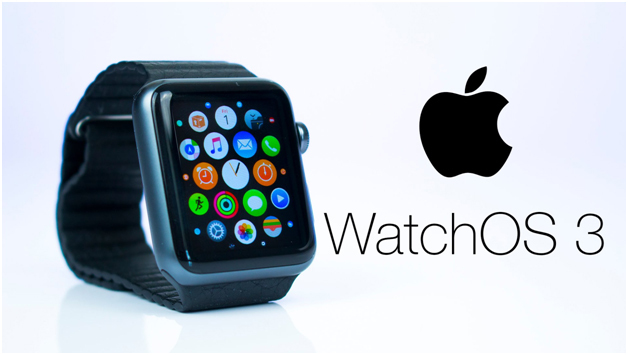 The Apple Watch 2 came out on September 7, 2016, and we expect that Apple Watch 3 is going to be released around sometime in the month of September this year. It is one of the accepted facts that Apple will bring in a number of changes in the upcoming edition of the Apple Watch. They had done so when the Apple Watch 2 came out last year. So it is really going to be really surprising if we do not come across new features or at least an upgrade in the Apple Watch 3. Experts have predicted that Apple will definitely look forward to bringing in more stability when it comes to the battery of the new smartwatch. And reports are there that new patents have been submitted which are suggestive of new technologies that will enhance the battery backup of the Apple Watch 3. The new patent that has been published by US Patent and Trademark Office (USPTO) flaunts a new “connector-free magnetic charge/winger”. And it has incorporated within it a system which will allow the user to turn the Digital Crown which will eventually generate the charge to the battery. Well, this is something that is going to be really innovative. And the users of products from Apple are quite habituated with these innovations. Yet, they will love to see this new technology coming in which will enhance the battery because if one thing that Apple might have to take a look when it comes to smartwatches, it is the battery. If this new technology solves that problem, it will be really ideal for both the manufacturer as well the consumers. Hence it remains to be seen what the actual features of the Apple Watch 3 turn out to be when it hits the market in the month of September. Until then, we simply have to wait and watch.